We use to listen to our favorite music CDs, to measure distances, temperature, and speed. Even though Einstein was the first to talk about the idea of light energy, our bodies have been using that same kind of energy to communicate since man was created. As documented in James L. Oschman’s book “Energy Medicine: The Scientific Basis”, cells communicate to one another through coherent light. Low-level laser (3LT) are different than more publicized heat lasers used in many surgical procedures to cut, and cauterize tissue. Low-level laser (3LT) do not have a thermal effect and are used to stimulate rather than destroy tissue. These types of lasers have been in use for over 25 years, and there has yet to be one recorded side effect. 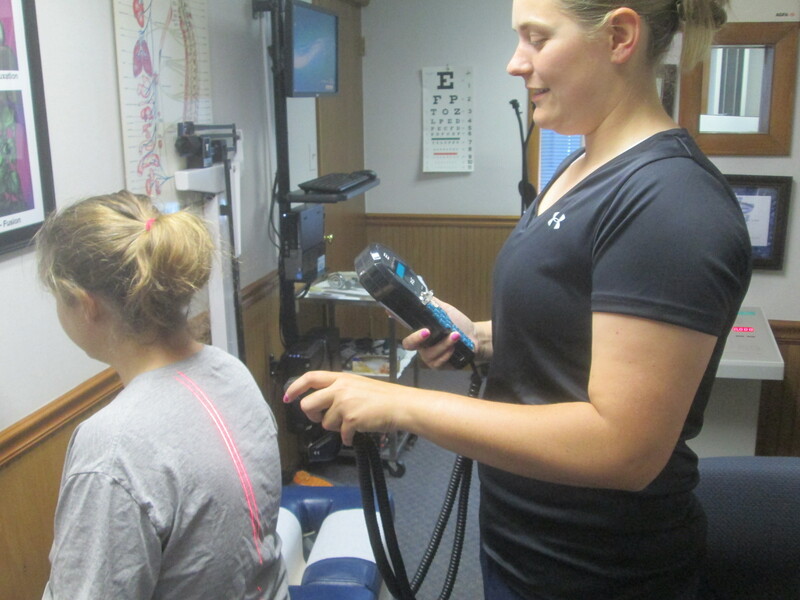 Low-level laser (3LT) studies have been done and have proven to be effective in many cases, but it was the ERCHONIA laser that made history by becoming the first 3LT laser in the world to gain FDA market clearance for the treatment of chronic neck and shoulder pain. This was substantiated by two double-blind studies proving the efficacy of the ERCHONIA Laser on chronic pain. Our ERCHONIA laser emits visible coherent light that is applied to the affected area. Bundles of light energy pass through the dermal layers, and are received within the cell membrane by specific energy photo acceptors. The increase in intra-cellular energy results in altered cell membrane permeability, and physiological changes occur through an enzyme cascade to affect several biological processes. Within the injured musculoskeletal tissue, low-level laser light initiates increased micro circulation and enhanced tissue regeneration. The overall effects are decreased pain and inflammation, and increased range of motion.